You are here: Home 2008 January How far should I live from a powerline? How far should I live from a powerline? Do overhead power lines pose a safety risk? Living too close to overhead power lines could increase the risk of childhood leukaemia according to a major study. The research carried out at Oxford University discovered that children who had lived within 200m of high voltage lines at birth had a 70% higher risk of leukaemia than those 600m or more away. But the scientists stressed that there are no accepted biological reasons for the results and that the findings could be linked to the environments where pylons are located. 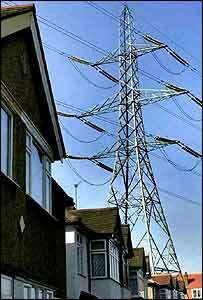 Around 1% of homes in the UK are said to be within 200 metres of high voltage National Grid power lines. Experts have clashed over whether or not it is safe to build houses and schools near powerlines. The government had asked them to look at cutting exposure to emissions from the lines – but they could not agree if there should be a ban on new builds. The panel of 40 included scientists, representatives from the electricity industry and health campaigners. Opinion is divided over whether electromagnetic fields from powerlines pose a health risk. Around 1% of homes in the UK are estimated to be within 200m of high voltage National Grid power lines. Around 25,000 are within 60m. In 2005, the Department of Health funded Draper Report found that children who lived within 200 metres of high voltage lines had a 70% higher risk of developing leukaemia than those who lived more than 600 metres away. Experts claim this could account for five extra cases, or 1% of the 400 cases of childhood leukaemia that occur in a year. Some scientists have suggested that other illnesses, including brain tumours and motor neurone disease could also be linked to electromagnetic field exposure. But others say powerlines pose no health threat. The panel’s report discusses a number of options the government might consider to reduce public exposure to electromagnetic fields. It says a 60-metre “avoidance corridor” around powerlines, within which new buildings should not be erected, would have the most dramatic effect. Other options include burying powerlines underground, but there were concerns about how feasible this would be. The report says individuals can also employ measures to reduce exposures in the home – for example, by keeping beds away from meter cupboards, fuse boxes and transformers. Edward Copisarow of Children with Leukaemia called for an outright ban on building near powerlines. He said: “Power lines near homes and schools are a problem – we have to stop the problem getting any worse. Living too close to overhead power lines appears to increase the risk of childhood leukaemia, researchers say. A major study found children who had lived within 200m of high voltage lines at birth had a 70% higher risk of leukaemia than those 600m or more away. But the Oxford University team stressed that there are no accepted biological reasons for the results and that they may, therefore, be chance. Alternatively, it may be down to the environments where pylons are located. And they said it did not resolve the debate about whether it was unsafe to live next to power lines. Around 1% of homes in the UK are estimated to be within 200m of high voltage National Grid power lines. The researchers said their findings showed living in such close proximity to power lines at birth could account for five extra cases of childhood leukaemia in a total of around 400 that occur in a year – a total of 1%. The British Medical Journal study did not look at level of exposure to magnetic fields. But other scientists who have considered the issue have suggested that low frequency magnetic fields, such as those caused by the production of electricity, could possibly be linked to cancer. However, others have disputed this link. And experts agree that there are likely to be many factors involved in leukaemia, including genes and the environment. Even if the apparent risk was found to be real, the number of cases of leukaemia that would result would be very few, said the authors. The latest study was carried out by Dr Gerald Draper and colleagues from the Childhood Cancer Research Group at Oxford University, and Dr John Swanson, a scientific adviser at National Grid Transco. It looked at more than 29,000 children with cancer, including 9,700 with leukaemia, born between 1962 and 1995, and a control group of healthy youngsters in England and Wales. The researchers measured the distance from children’s home addresses at birth from the nearest high voltage power line. They found that 64 children with leukaemia lived within 200m of the line, while 258 lived between 200-600m away. Overall, youngsters living within 200m of the lines were about 70% more likely to develop leukaemia, and those living between 200 and 600m away about 20% more likely to develop leukaemia than those who lived beyond 600m from high voltage pylons. Although the trend was definite, the researchers said they could not reasonably explain why it occurred. For this reason, they caution that it might be down to factors other than the pylons themselves, such as the type of people who live near pylons or the general environment where pylons are located, which they plan to investigate. Eddie O’Gorman, chairman of the UK charity Children with Leukaemia, said: “There is now a clear case for immediate government action. But Professor John Toy, Cancer Research UK‘s Medical Director, said: “People who currently live or have lived near power lines in the past need not panic about this research. The triggers that cause childhood leukaemia are most likely a random course of events over which a parent has no control. A spokesman from the Health Protection Agency said the study findings suggested that at least some of the increased leukaemia risk might be associated with factors other than electromagnetic fields. Dr David Grant, of Leukaemia Research, said: “We recognise there is a lot of public anxiety and concern about living close to pylons and exposure to power-frequency magnetic fields. There are around 7,000km of high voltage power lines involved in the transmission of electricity across England and Wales, and 21,800 steel pylons. A study in the British Medical Journal this week suggests that living too close to overhead power lines increases the risk of childhood leukaemia. The authors are cautious of their findings and say they may be down to chance because they could not find any reason why this trend might be. Linda Tatten, 56, believes living close to power lines caused her son’s leukaemia. “I’m absolutely convinced it was the cables. “When we first moved to the house in Trentham, Stoke-on-Trent, in 1973, when David was only 18 months old, there was no question about any connection between power lines and leukaemia. “The power lines ran right across our back garden but it didn’t really worry us. Some years later, Linda began to hear of research suggesting power lines might be associated in some way with leukaemia. She says the latest study, by Dr Gerald Draper and colleagues from the Childhood Cancer Research Group at Oxford University and Dr John Swanson, a scientific adviser at National Grid Transco, is yet more proof that there is a link. “It is too much of a coincidence. There must be a link. “I just wonder how many other people have gone through my experience, living under power cables, but have never come forward. 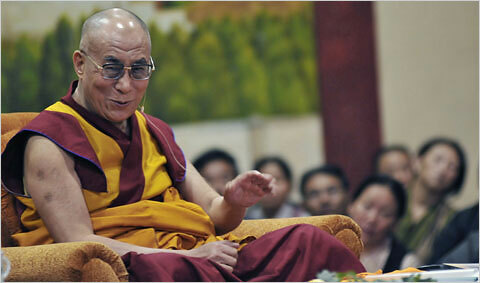 “The estate that we lived on was a new housing estate, crowded with families with young children. She said it was now time for government to step in. “Somebody’s got to stand up and take responsibility for this. The government are responsible for the health of our children. “I think it has got to go direct to the Prime Minister.” Dr Swanson said a stakeholder group, including the electricity industry, government, patient groups and cancer charities, had been set up to investigate. He said the fact that the industry had been involved in the latest study showed how committed it was and that it took the matter seriously. “We are as determined as anybody to get to the bottom of this. “Even if we don’t know for certain what is causing it, just the fact that there does seem to be an increased rate of cancer near power lines means we have got to think about these questions of ‘should people carry on living near power lines or not? '” he said. Both Cancer Research UK and Leukaemia Research said there was no reason why anyone should be advised to move house on the basis of these new results. They said there were many possible causes of leukaemia, including genes and exposure to infections. The BMJ study estimated that if living in close proximity to power lines at birth did increase the chance of leukaemia, it would account for only 1% of all childhood leukaemias. Children living under high-voltage power lines could run double the risk of getting cancer, new research reportedly suggests. Those living within 100 metres of the cables are more likely to suffer from leukaemia, the study indicates. The Childhood Cancer Research Group at Oxford University studied 70,000 children under 15 for the Department of Health report, half of whom had cancer. The seven-year study is reported in the Times and the Independent newspapers. The research looked at the prevalence of high-voltage power cables near children’s homes. Children born or living near the power lines were 1.7 times more likely to contract leukaemia than those in the control group, the research found. Some studies have already shown an association between some types of electromagnetic fields and increased childhood leukaemia. Research author Dr Gerald Draper said other research suggested power lines might account for 20 to 30 of 500 cases of childhood leukaemia each year. But, he said, his work indicated a far smaller number of cases were affected. The findings were “surprising” and prompted further research, he added. The Department of Health said it would not comment on the findings until Dr Draper submitted his final report. One can measure electric field and electromagnetic fields (see www. stetzerelectric.com) but I typically recommend at least 1/2 mile distance from high voltage powerlines. Got Pancreatic Cancer? What is your level of CD47?